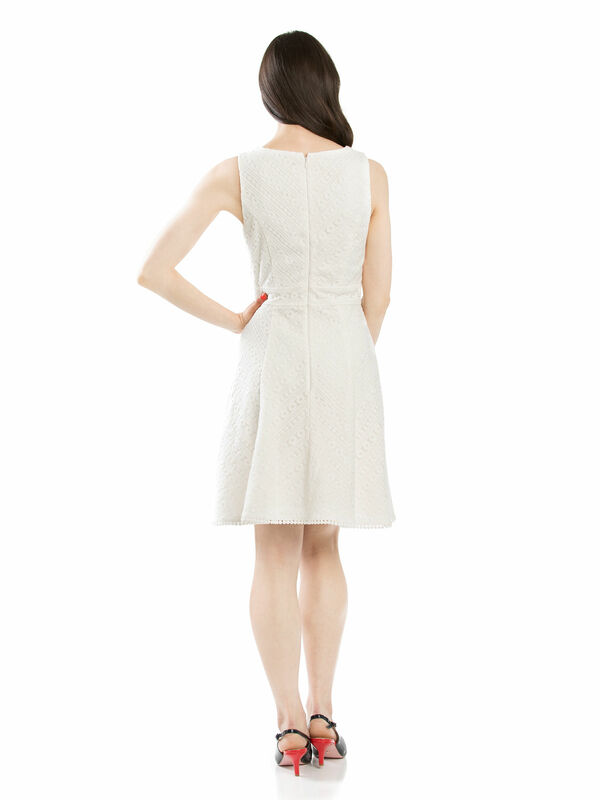 Lotus Lace Dress https://www.review-australia.com/global/lotus-lace-dress-cream/RE19DR248.RECRM001.html This broderie lace beauty will be a lovely addition to your summer collection. Sweet and simple, the sleeveless dress has a fit and flare silhouette and is crafted with a modern broderie lace overlay. The dress is fitted with a band at the waist and features a v-neckline and embroidered trim hem. Pair yours with espadrillas and a straw basket for the perfect day of sunshine.